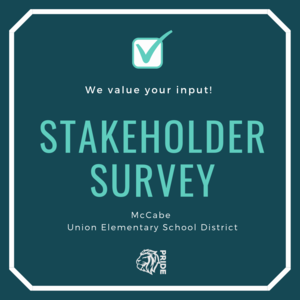 Our annual Stakeholder Survey time is coming up from March 18th-31st! McCabe not only appreciates your continued parent support and involvement, but your input is also very valuable to us. Watch for an email with the link to take the brief survey in the next few days. We appreciate your feedback, suggestions, and most of all . 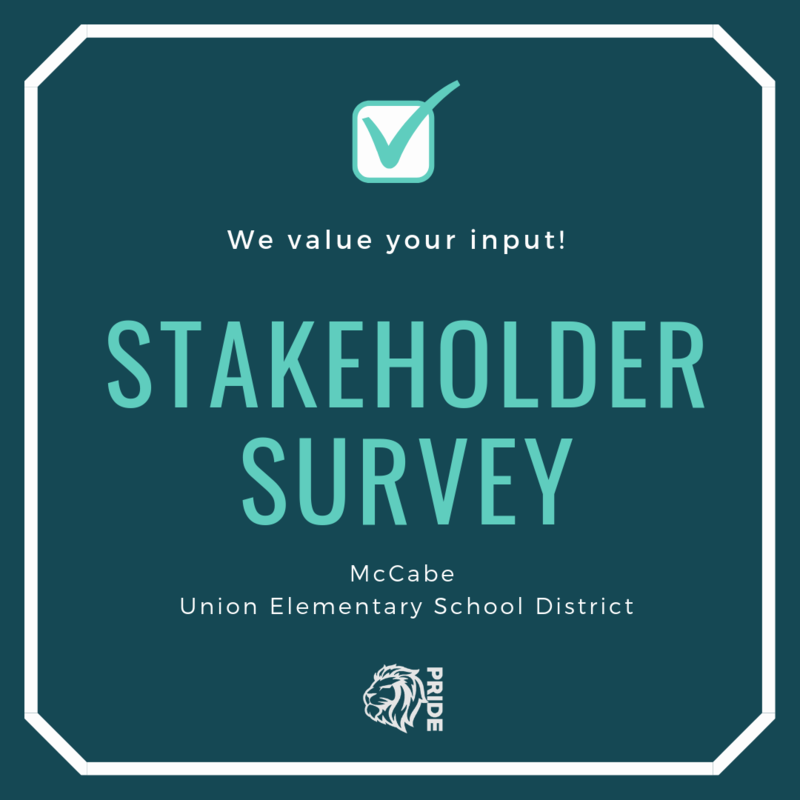 . . your participation in our survey! CAFETERIA: Cafeteria bills have gone home with the students. Payments may be made through either school office or online through My School Bucks at www.myschoolbucks.com. Remember, all cafeteria accounts must be paid prior to Catalina, graduation, and the last day of school. Catalina/Graduation payments were due March 1st. All lunch accounts must be paid in full prior to students departing for Catalina. Graduation pictures are scheduled for April 16th at 8:15am in the gym classrooms. Parents are encouraged to attend! Be sure to arrive early as parking will be limited. Feel free to bring lawn chairs, blankets, and sunscreen to watch the events. Upcoming Dates . . .
CAST/SBAC Testing: State testing will begin in April and continue through the month of May.